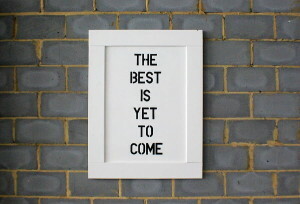 R est assured that the best is yet to come! It may tarry but God’s blessings shall be fulfilled in our lives. The question is how do we get the best from God? First, we should bless the Lord all of the time and never forget what He has done for us. Don’t throw away the weapon that brought us victory. If it is prayer, then don’t stop praying. If it is fasting, then don’t stop fasting. If it is praising God, then don’t stop praising God. If it is worshipping Him, then don’t stop. We must remain humble. The lower you take yourself, the higher God will bring you up.